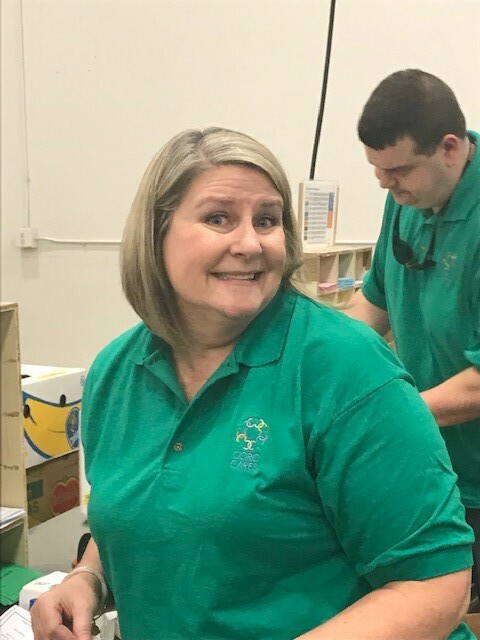 Coro CARES volunteers at the Atlanta Community Food Bank sorting, packing, and weighing food and grocery items to be distributed to those in need. 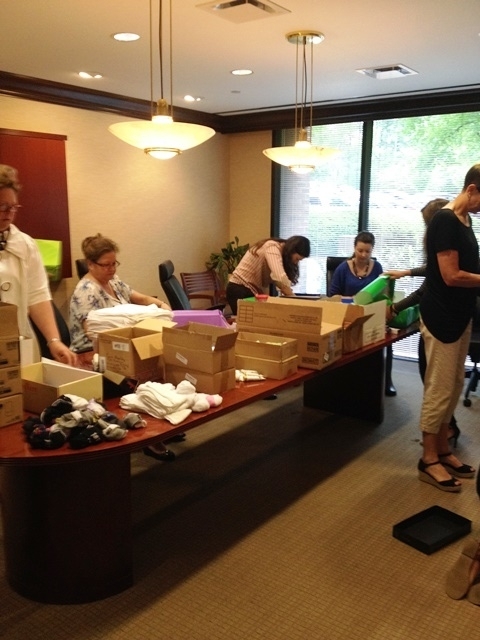 Together they packed over 9,000 pounds of items for low-income Georgians who suffer from hunger and food insecurity. The mission of the Atlanta Community Food Bank is to fight hunger by engaging, educating and empowering our community. 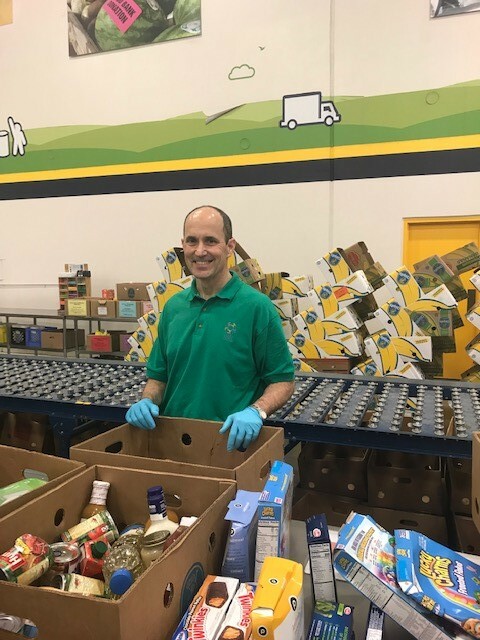 From supporting community gardens to assisting people in finding economic security, the Food Bank covers a wide range of opportunities for people to learn and get involved. 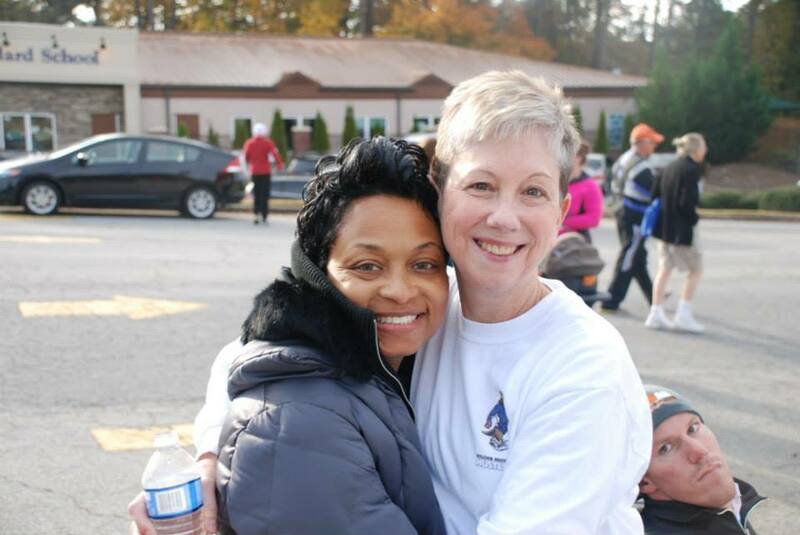 To learn more about the Atlanta Community Food Bank, visit http://acfb.org/. 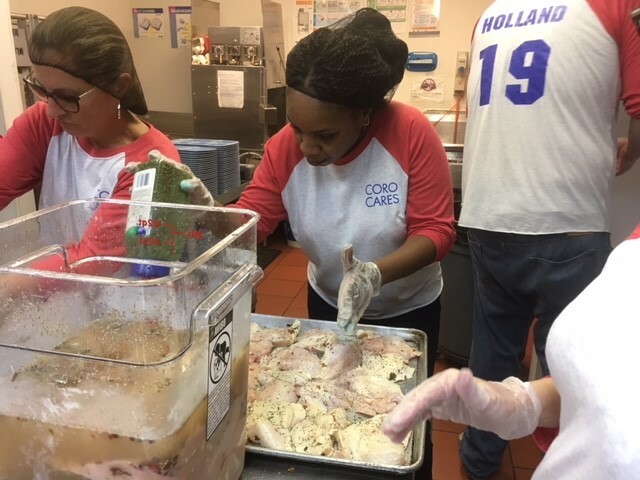 Coro CARES volunteers prepare and serve lunch at The Loaves & Fishes Kitchen to residents of the MUST Ministries Elizabeth Inn, as well as anyone in the community in need of a meal. 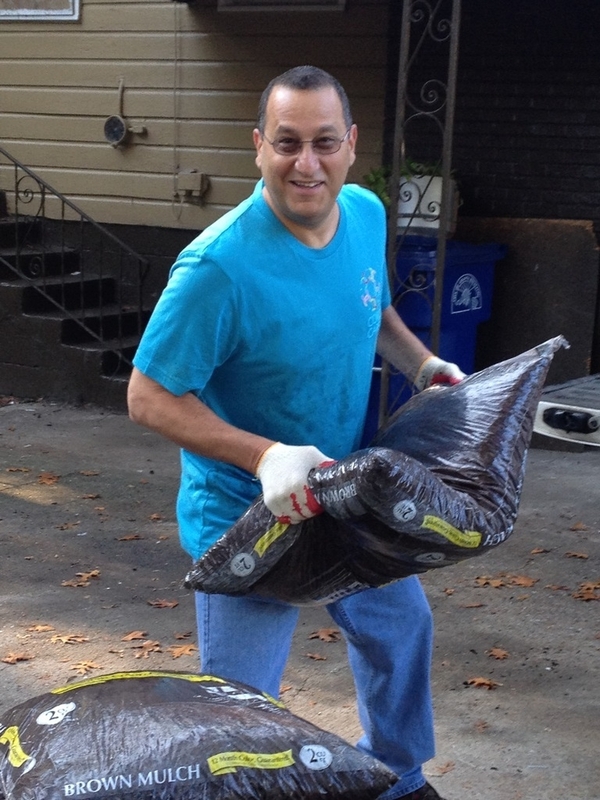 Coro CARES volunteers get their hands dirty at the Atlanta Community Food Bank Community Garden. 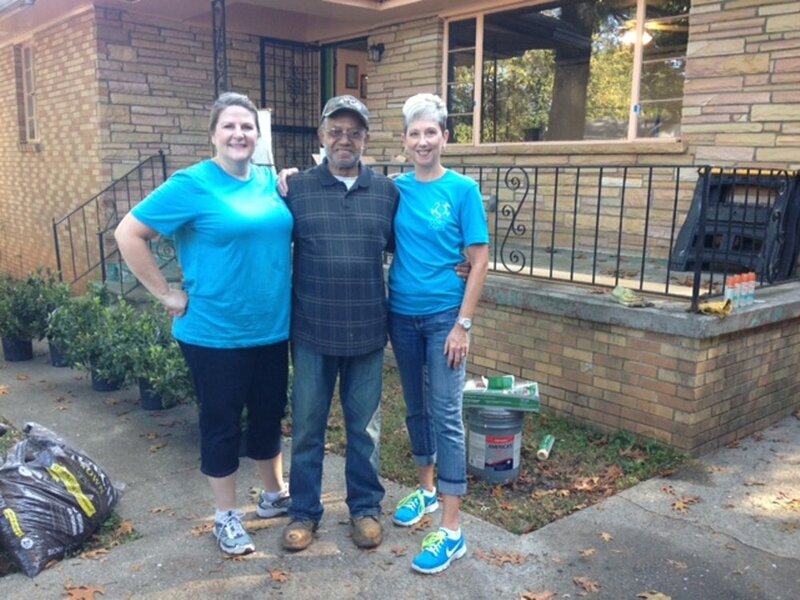 Members of Coro worked preparing soil for planting, planting seeds, and weeding. The Community Gardens project offers assistance to over 100 gardens in the metro-Atlanta area, growing healthy food to nourish communities. The benefits of the Community Gardens are endless, creating social interaction, enhancing communities, and producing nourishment while reducing food budgets. To learn more about The Food Bank’s Community Gardens, visit https://www.acfb.org/about/our-programs/community-gardens. 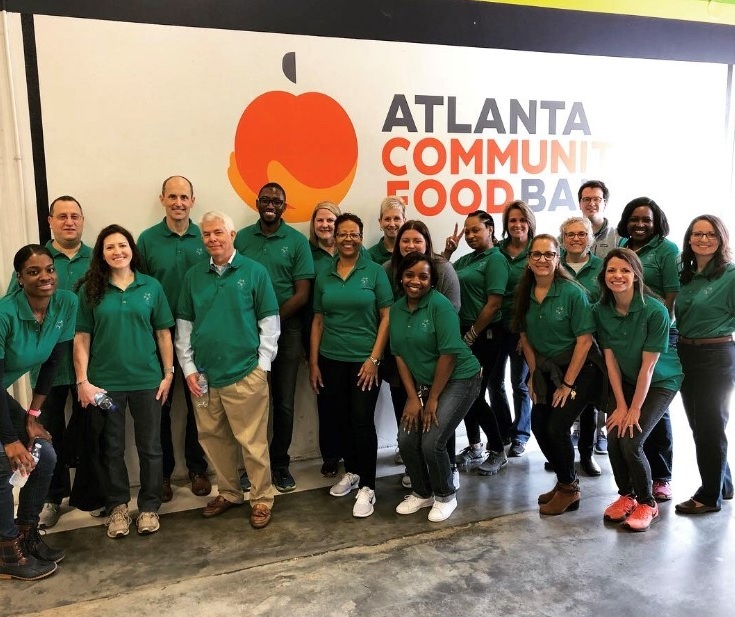 Coro CARES volunteers at the Atlanta Community Food Bank sorting and packing food and grocery items for those in need. 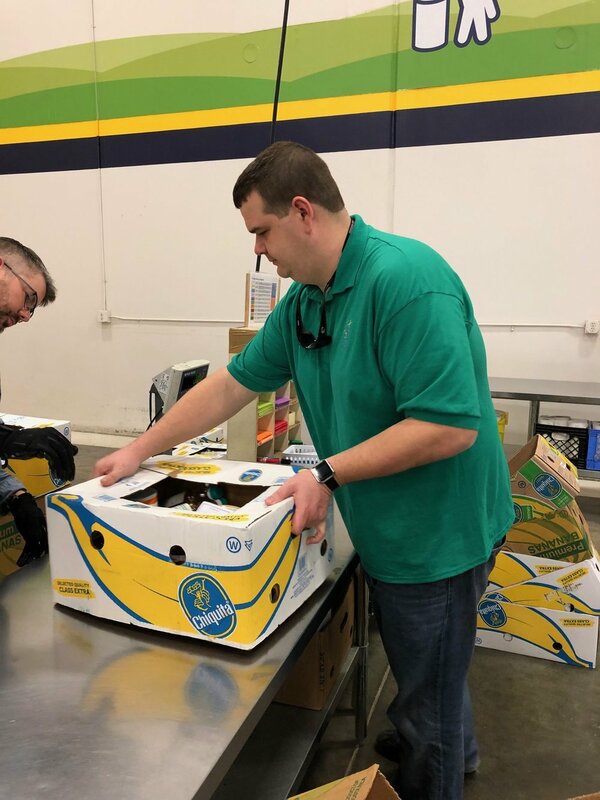 Together they packed over 11,000 pounds of items to be distributed to low-income Georgians who suffer from hunger and food insecurity. 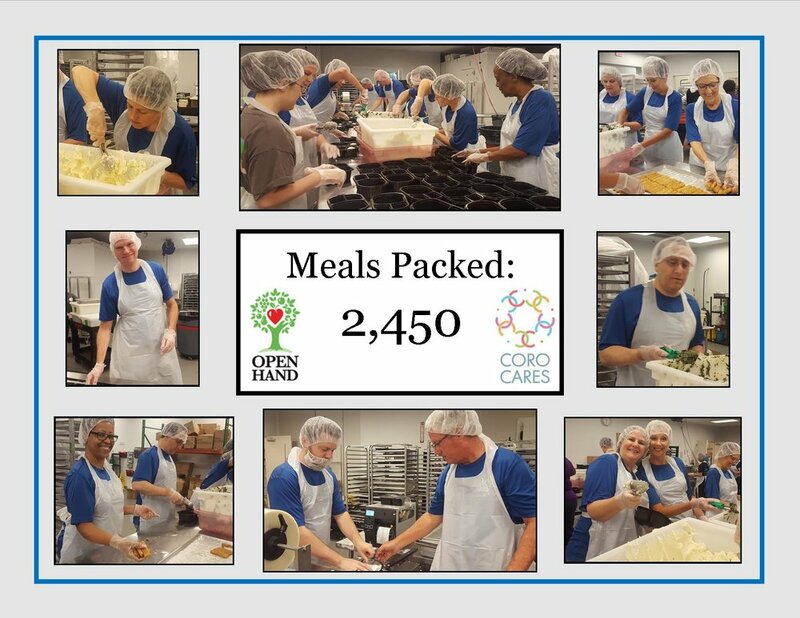 Coro CARES teamed up with Open Hand Atlanta for the second year in a row to prepare and package meals. Together they packed 1,779 meals to be delivered to those who cannot afford proper nutrition. 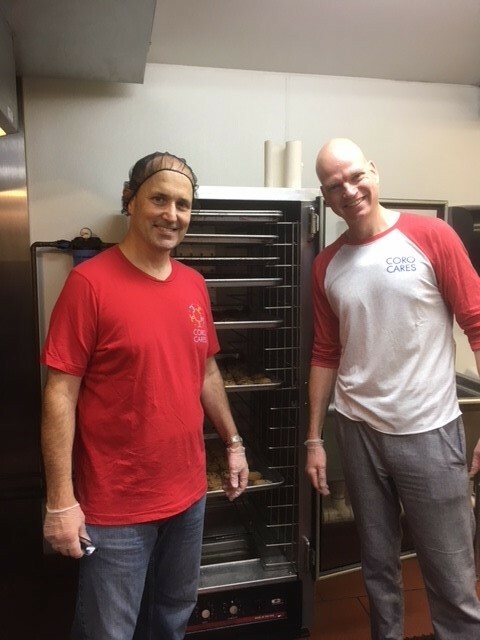 Open Hand helps people prevent or better manage chronic disease by providing home-delivered meals and nutrition education to those in need. To learn more about Open Hand Atlanta, visit http://openhandatlanta.org/. Coro CARES helped with clearing and cleaning at Chattahoochee Nature Center for their 2016 Fall Volunteering Event. Chattahoochee Nature Center is a is a non-profit environmental education facility in Roswell, GA. The Mission of the Chattahoochee Nature Center is to connect people with nature. 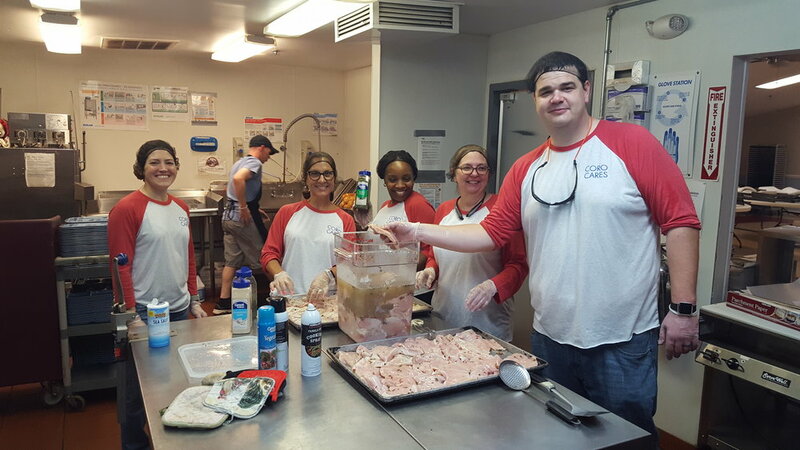 Coro CARES teamed up with Open Hand Atlanta in their 2016 Spring Volunteering Event. 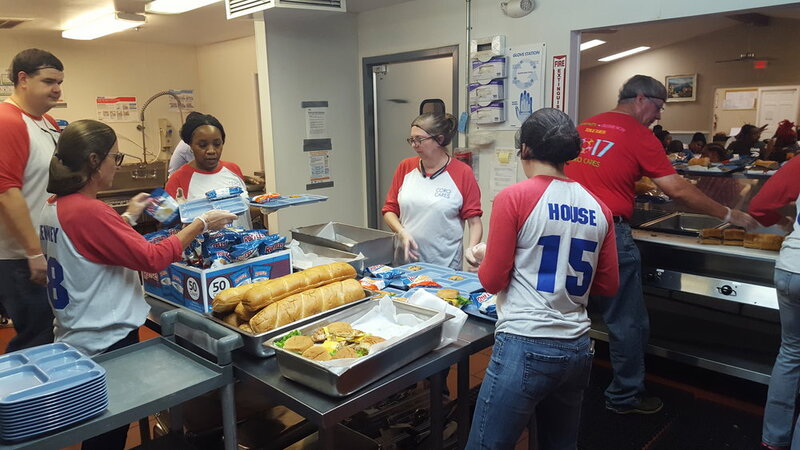 Together they packed 2,450 meals to be delivered to people with chronic diseases. 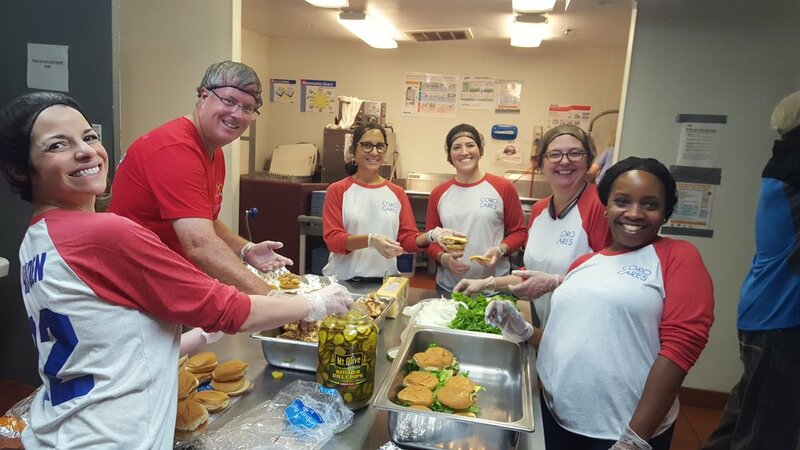 Open Hand helps people prevent or better manage chronic disease by providing home-delivered meals and nutrition education to those in need. 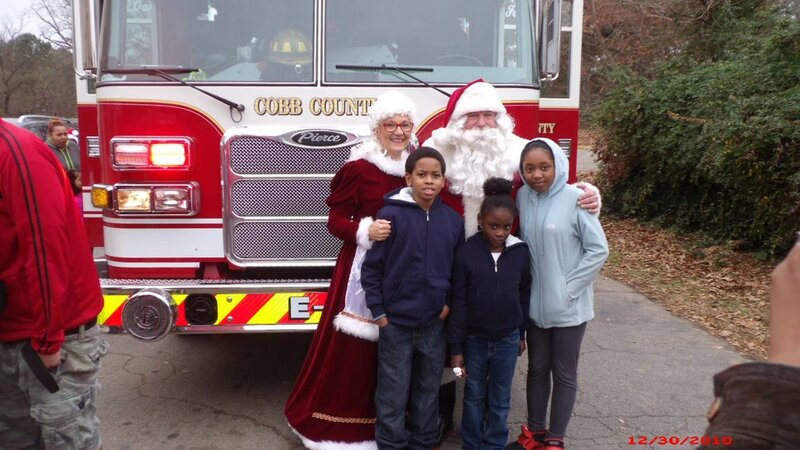 As Coro CARES gears up for another great year, we reflect on the fun we had giving back in 2015. Thank you to all who helped us in our efforts to give back to the community by contributing time, money, food and so much more. Stay tuned to see what Coro CARES has planned for 2016! Coro CARES helped 3rd Battalion - Kilo Company - Platoon 3073 CRUSH the CRUCIBLE by sending hundreds of protein bars to keep them powered up during the difficult challenge. What is the Crucible? It is a 54 hour, 40 mile challenge that must be completed with only 8 hours of sleep total. 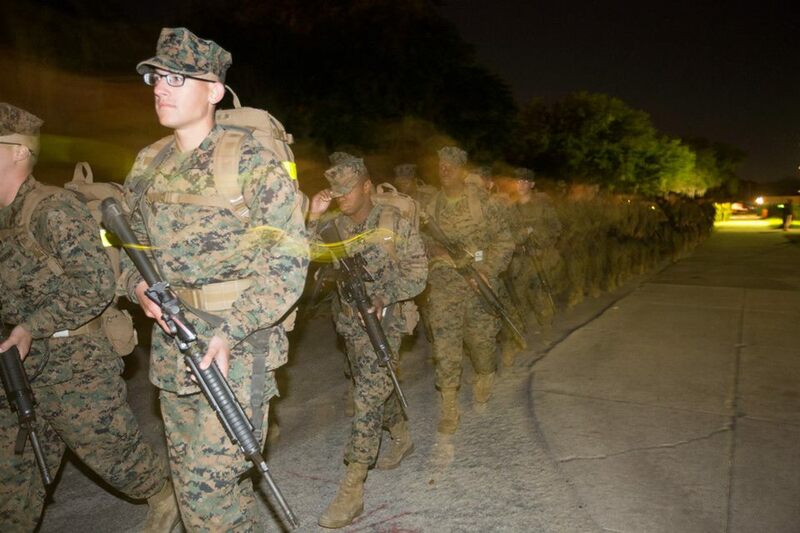 This challenge must be completed for them to become Marines. Protein bars are the perfect ready to eat meal because they are light weight yet can help sustain the Marine for long periods of time. Coro CARES saw this as a great opportunity to help and collected hundreds of protein bars to aid in their effort to CRUSH the CRUCIBLE. 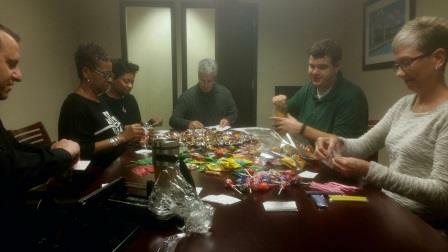 Coro CARES delivered candy filled care packages to the Ronald McDonald House and the AMC Food Bank. 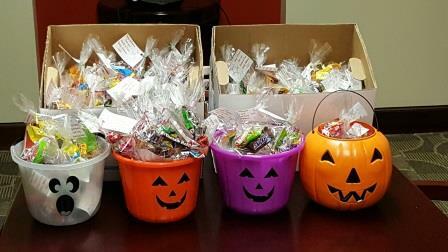 Treat bags were filled with candy favorites and delivered to two charitable organizations with hopes to bring smiles to those in need. 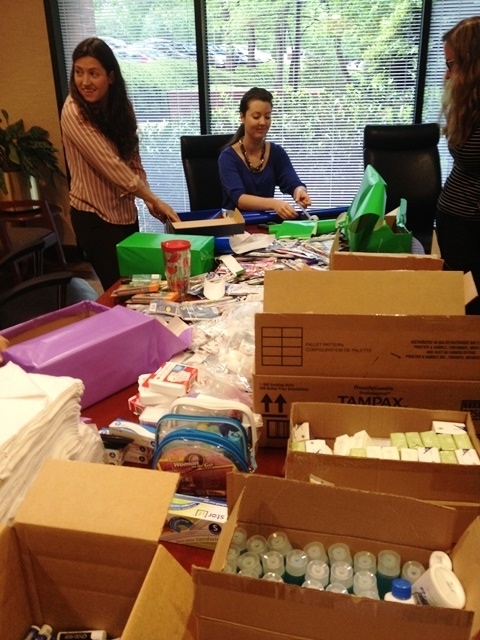 Coro helped celebrate Shoebox Project’s 10th Anniversary by helping more homeless women and children than ever! 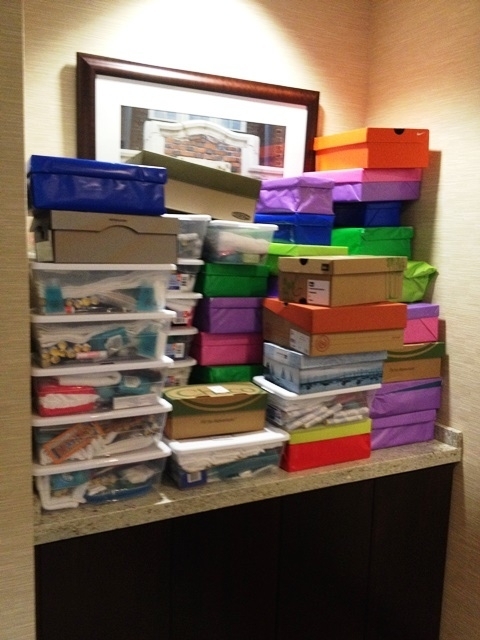 It’s the 10th Anniversary of United Way’s Shoebox Project. In 2006, United Way collected 1,500 shoeboxes for homeless women and children. In just nine years, the initiative has seen huge success with more than 44,000 shoeboxes collected and distributed to homeless women and children across Greater Atlanta in 2014. Coro wrapped and filled shoeboxes with items like shampoo, deodorant, toothpaste, toothbrushes, brushes, raincoats, sunscreen, band-aids, and much much more. 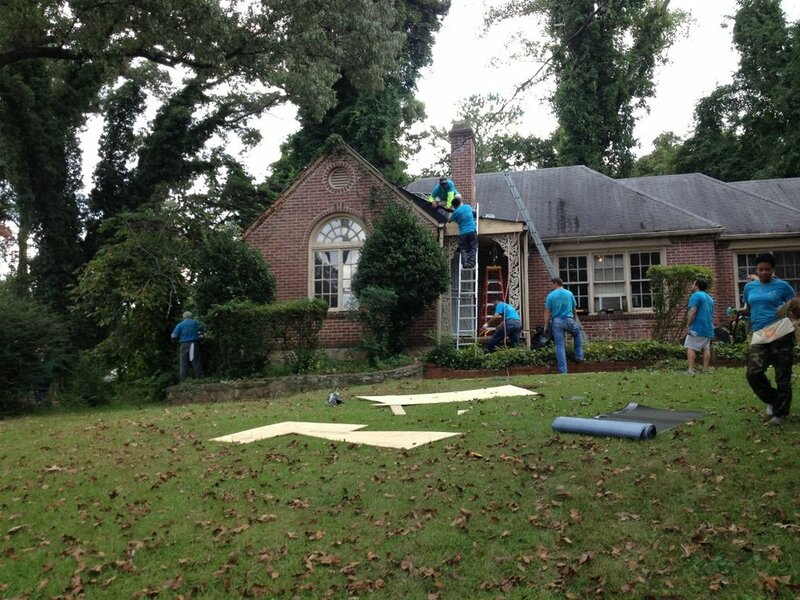 Coro CARES and Meals on Wheels Atlanta Home Repair Services (HRS) teamed up to change the lives of deserving Seniors whose homes needed a little LOVE. The Goal? To keep the Senior safe, ensure their home is accessible and allow them to remain in it for as long as possible. It was a great day in the Home Repair Department!! 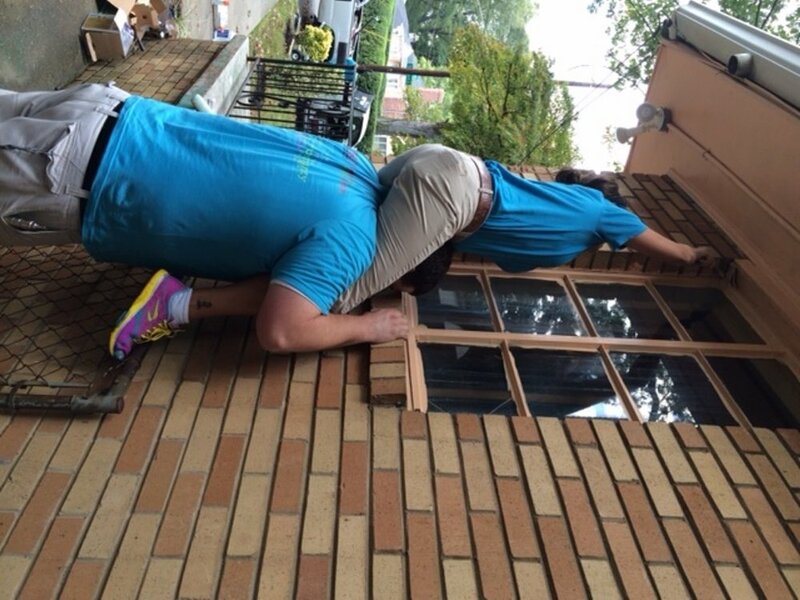 Two of our senior home owners got home repairs that would not be possible without the Coro Cares Team!! 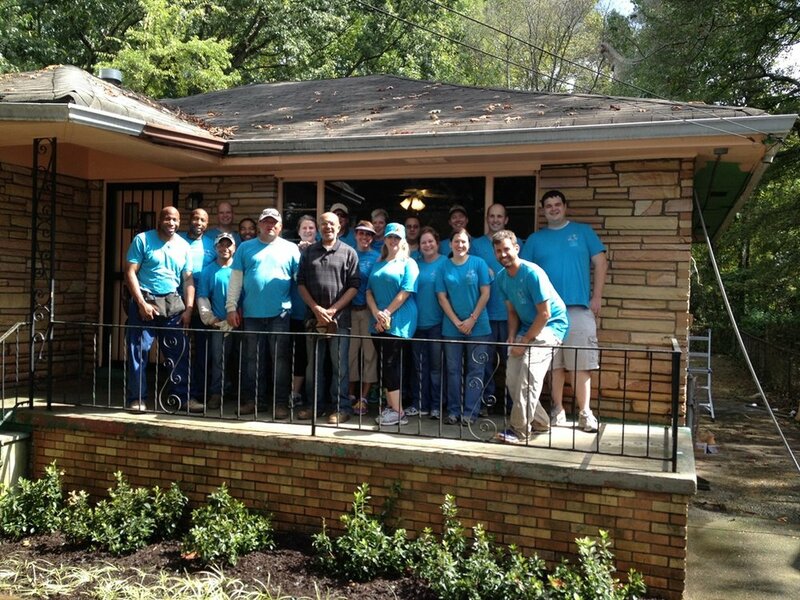 Thanks to Coro Realty Advisors and some of their contractors that also donated their time! 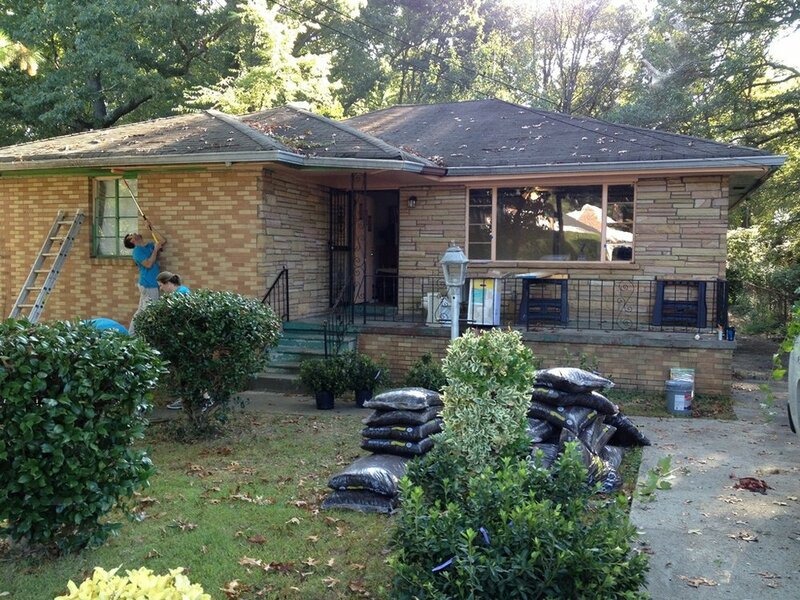 Live Oak Landscape Services, Black Diamond Coating and Power Source Electric. Coro CARES partnered with The Kyle Pease Foundation and joined in to participate in the Holcombe Bridge Hustle 5K to benefit Holcombe Bridge Middle School. It was a pretty cold day, but the atmosphere was so upbeat that no one was really complaining about the cold. 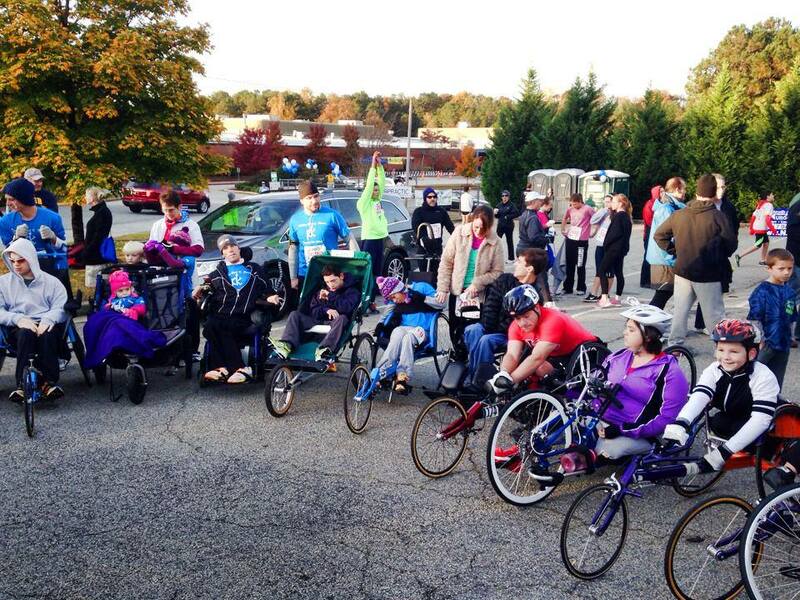 Coro CARES raced along side a Kyle Pease Foundation athlete and placed 3rd in the Assisted Athlete Division! 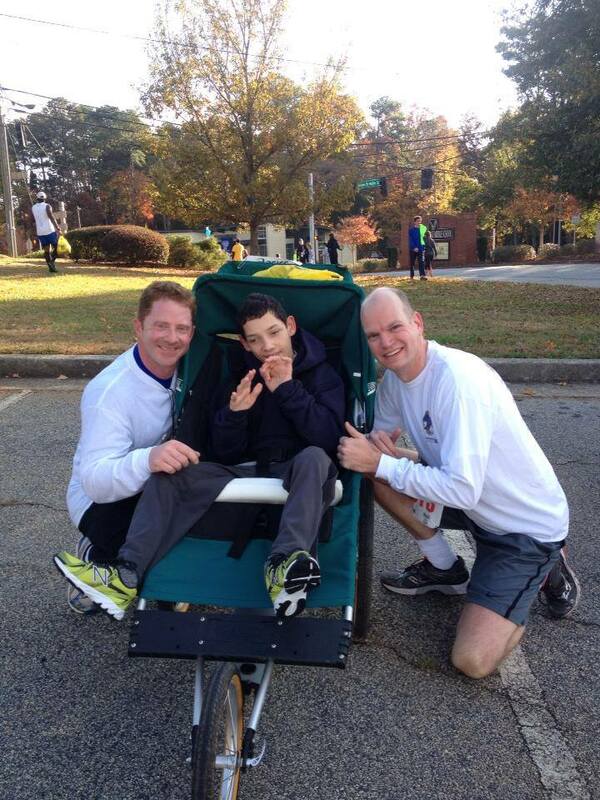 Way to go Kyle Pease Foundation and Coro CARES. 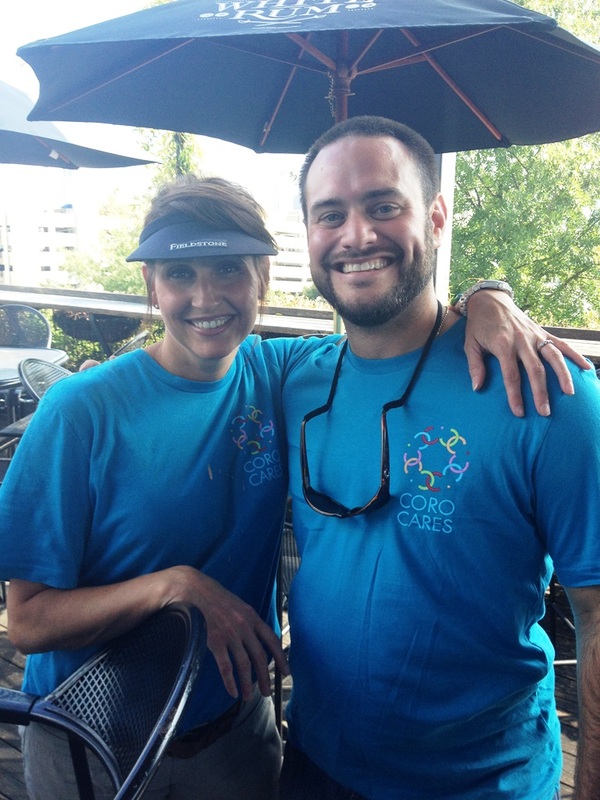 Coro is introducing a new fundraising and community outreach program called Coro CARES. KPF’s mission is to create awareness and raise funds for people with disabilities, by providing assistance to meet their individual needs through sports. 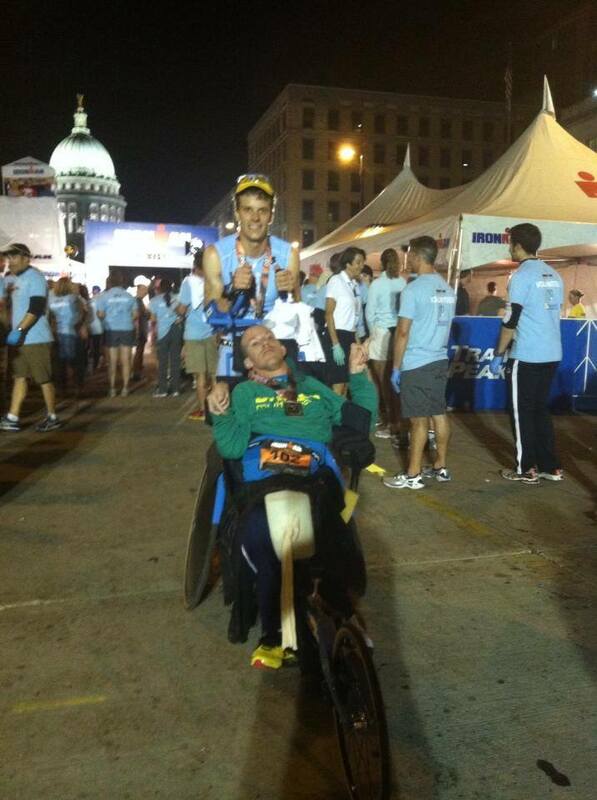 Since its inception, KPF has supported more than 25 athletes in over a dozen races. Unlike other sports in which people with disabilities participate in “special” events separate from non-disabled athletes, KPF’s athletes do not run in a separate race. They are on the same start line and must face the same challenges on the course as everyone else. KPF is a registered 501c3 non-profit organization. As a result, all donations are tax deductible. We are asking for donations to KPF to help us reach our goal of raising $12,000 for KPF. 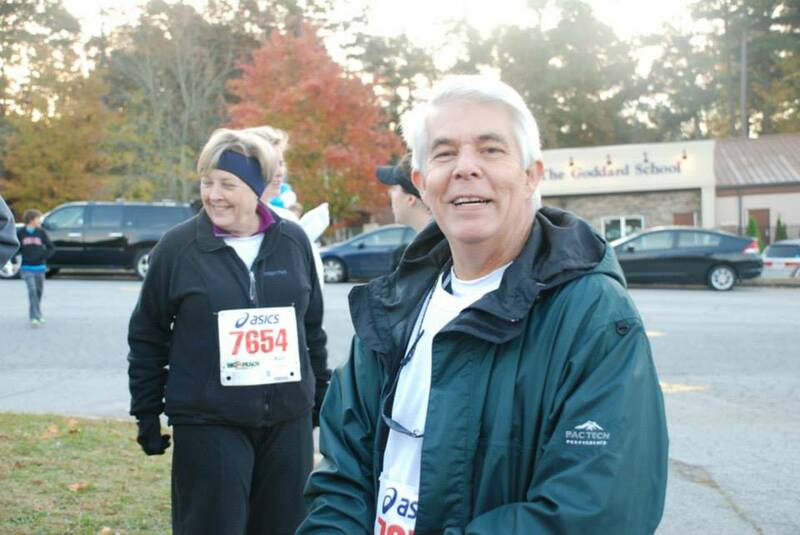 Checks can be made payable to “The Kyle Pease Foundation” and sent to Teresa Pastore, Coro Realty Advisors, LLC, 3715 Northside Pkwy, Bldg 400, Suite 100, Atlanta GA 30327. Coro Realty will match every dollar contributed up to our goal. Benefactor’s name will be posted on the Coro water tables along the race course, worn on the shirts of Coro’s staff participating in the event and placed as “Benefactor” on Coro’s media related to the event. Partner’s name will be posted on the Coro water tables along the race course and on the shirts of Coro’s staff participating in the event. We hope to see you at the 2013 Holcomb Hustle, and thank you for your support.